We are pleased to announce the names of all of the social entrepreneurs who were selected to receive scholarships to SOCAP18. This is the largest cohort we’ve ever accepted, with over 130 promising entrepreneurs from around the globe. These inspiring innovators will be coming to SOCAP18 to share their stories, make valuable connections, and grow ventures that are solving challenges and creating positive impact in communities worldwide. Congratulations to all of these outstanding entrepreneurs. Many thanks also go out to everyone who applied. If you were not selected this year, or if you missed the deadline to apply, we encourage you to apply for the SOCAP19 Entrepreneur Scholarship next year. Sign up for the SOCAP newsletter to receive advance notice of next year’s application dates and other important announcements. 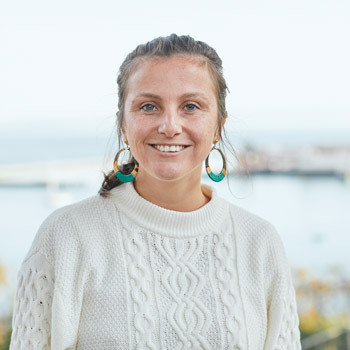 Learn more about this year’s cohort of entrepreneur scholarship recipients by joining the SOCAP18 Pathable community. The profiles of all scholarship entrepreneurs are flagged with purple badges that read,”SOCAP18 Entrepreneur.” Read their profiles to learn about them, their ventures, and the impact they are creating in the world. SOCAP18 ticket holders who are registered in Pathable can use the platform to connect with these entrepreneurs before the conference begins. Get your ticket to SOCAP18 to register and gain full access to Pathable.